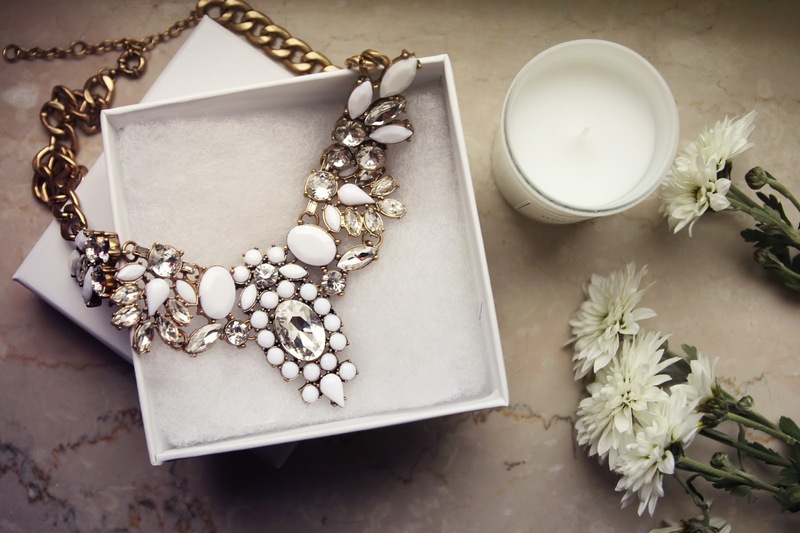 Sometimes happiness comes in a form of a white box with a beautiful necklace inside. Sometimes in a warm cup of coffee first thing in the morning, prepared just the way you like it. Sometimes it's seeing a friend or a relative whom you have not seen for ages and all you want to do is spend hours talking to them and giving them endless hugs. There are many forms of it, and each of us have our own favorite moments that we label as happiness. To me, it is a cozy evening at home with a good movie and snacks, or finding a new song that I play on repeat for a few days because I love it so much. I think the list I could write about what makes me happy would make a short book, so I'll rather abstain from doing so. How about you? What makes you happy? I saw a sweatshirt in Amsterdam with a slogan saying 'Happiness looks gorgeous on you' and was about to buy it, but decided instead of purchasing another piece of clothing to collect dust in my closet I will rather remind myself this phrase daily. Because nothing looks more flattering on a person than happiness. True, genuine, happiness. Love this! The perfect sentiment for a Friday. I could fill a book with the things that make me happy as well, but I will just sum it up with: my little family. My favorite part of every day is coming home to them, getting sweet puppy kisses, and even sweeter fiance hugs and kisses. My people make my world go round.